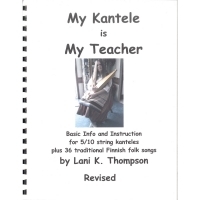 The Kantele is a simple 10 string zither from Finland that you play either by plucking out melodies or by strumming chords. 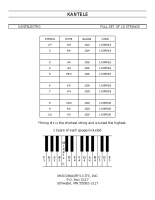 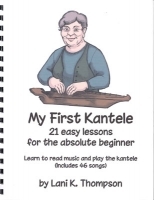 The Kantele is an easy kit to build or buy it finished if you just want to play! 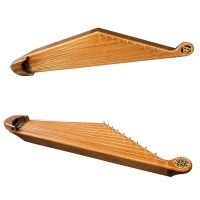 Our Kantele features a beautiful solid mahogany soundboard and a solid walnut frame. 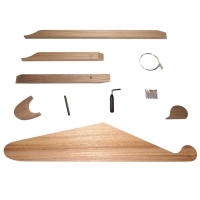 You'll enjoy building, playing and owning this heirloom quality musical instrument.